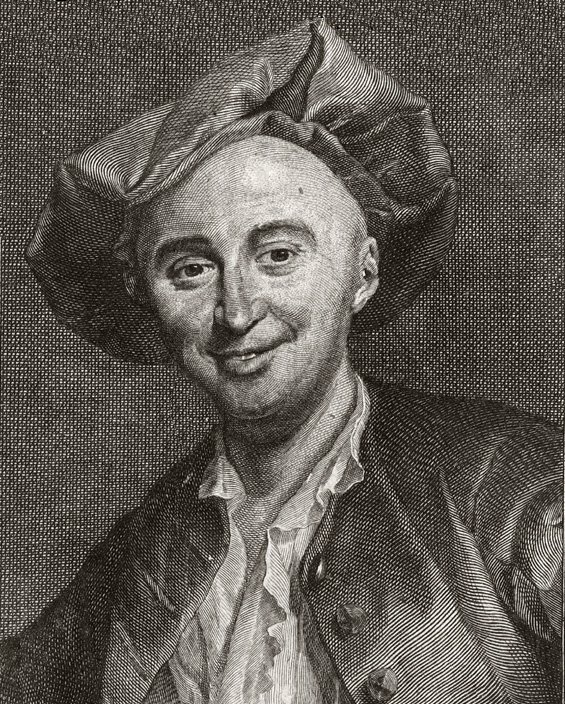 Julien Offray de La Mettrie (1709-1751). French materialist, published L’homme Machine (Man-Machine) in 1748. Gravure de Achille Ouvré (1872-1951) d’après G.-F. Schmidt. …just as idealism underwent a series of stages of development, so also did materialism. With each epoch-making discovery even in the sphere of natural science, it has to change its form; and after history was also subjected to materialistic treatment, a new avenue of development has opened here, too. The materialism of the last century was predominantly mechanical, because at that time, of all natural sciences, only mechanics, and indeed only the mechanics of solid bodies — celestial and terrestrial — in short, the mechanics of gravity, had come to any definite close. Chemistry at that time existed only in its infantile, phlogistic form1. Biology still lay in swaddling clothes; vegetable and animal organisms had been only roughly examined and were explained by purely mechanical causes. What the animal was to Descartes, man was to the materialists of the 18th century — a machine. This exclusive application of the standards of mechanics to processes of a chemical and organic nature — in which processes the laws of mechanics are, indeed, also valid, but are pushed into the backgrounds by other, higher laws — constitutes the first specific but at that time inevitable limitations of classical French materialism. This entry was tagged dialectical materialism, Frederick Engels, G.W.F.Hegel, Julien Offray de La Mettrie, Ludwig Feuerbach, mechanical materialism, objective reality, philosophy, reason. Bookmark the permalink.